Such a green lawn. 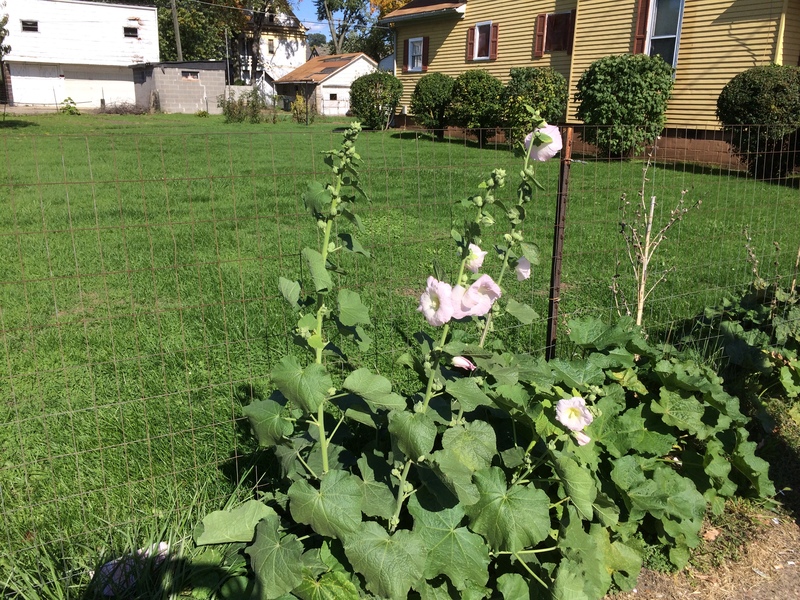 Second-flush hollyhocks noticed in mid-October. The world is fading from green to gold. When I took that walk to the river yesterday I was disappointed that more of the trees had not taken on fall glory. Today I went grocery shopping and I noticed that the tress are more golden overnight. Green is a color associated with growth. In the Church we are still in the season where the liturgical color is green. We still have green outdoors, but we know it will soon change. Today I am thinking that October green is a passing gift. I need to be grateful for the still green grass. I want to thank God for all the shade the trees are providing. I am grateful for green hills. When the gold and crimson take over they will not last long. I must cherish the green because all too soon the Church will move on to Advent and I will need to dig out all that red and green for my house. I am grateful for the green that means not…quite… yet. The liturgical season of green seems to last forever. Visiting from FMF where I’m parked in the #17 spot.